Port of Seattle Commissioner Fred Felleman; POS Commission President Courtney Gregoire; Monte Anderson, Executive Secretary, Seattle Building & Construction Trades Council; Steve Metruck, Port of Seattle Executive Director; POS Commissioner Peter Steinbrueck; POS Commissioner Ryan Calkins; Sea-Tac Airport Managing Director Lance Lyttle; Delta Air Lines Vice President-Seattle Tony Gonchar; Clark Construction VP and Project Director Brian Ahern; All Nippon Airways VP and General Manager Gary Weiss; POS Commissioner Stephanie Bowman; and Alaska Airlines Vice President of External Relations Diana Birkett Rakow. 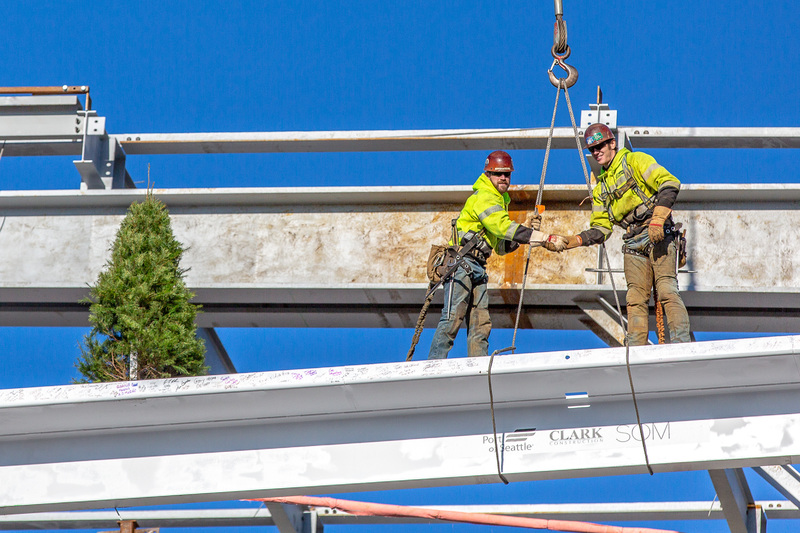 In what will be a major upgrade for international passengers, the final structural roof beam was raised by a crane and safely put in place today marking the latest construction milestone of the new International Arrivals Facility at Seattle-Tacoma International Airport. The ‘topping off’ of the main IAF structure highlights the project is rapidly progressing towards its scheduled opening in the fall of 2020 when the new 450,000 square-foot grand hall will be five times larger than the current 1970’s-era facility. Sea-Tac continues to see significant growth in the number of international airlines. In 2018, three new airlines began service, with three more scheduled for 2019. Over the last decade, the number of passengers requiring U.S. Customs clearance at Sea-Tac doubled. Passenger volume during peak periods climbs well above the levels the current facility was meant to hold. As a result, passengers often must wait in airplanes at the gate, or in current hallways, before going through customs or picking up luggage. 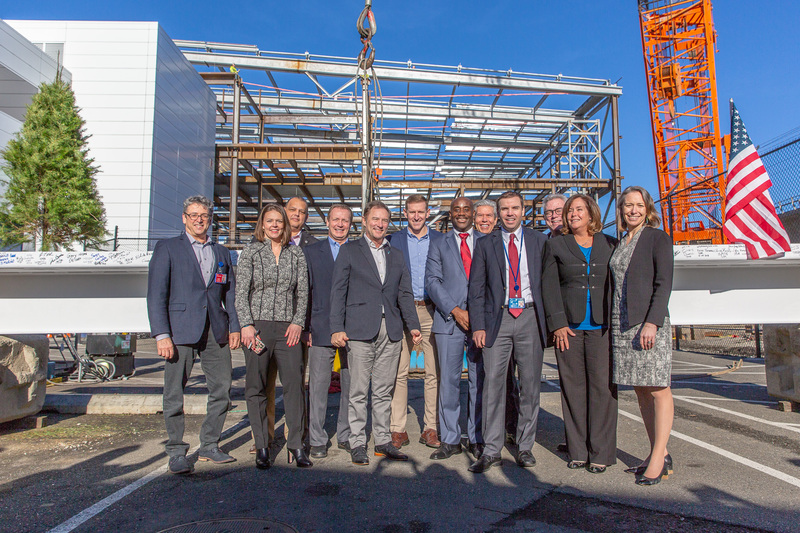 “As Chair of the International Station Managers here at Sea-Tac, and on behalf of the international carriers serving the airport, we are very excited to reach this construction milestone. We can't wait to share this facility with our incoming guests," said All Nippon Airways VP and General Manager, Gary Weiss. Construction is scheduled to be complete by May 31, 2020 with facility activation and testing to follow for public use opening in the fall of 2020.